Announced earlier this year, the collaboration between the high-end men's fashion platform, Mr Porter, and the label founded by Virgil Abloh has taken shape in the form of a series of looks unveiled on the Mr Porter website, which now features no fewer than 44 pieces from the new capsule entitled "Modern Office." "Securing the Mr Porter account has always been a goal for me. Not only have I admired it being a consumer in the marketplace and shopping it, but because I could always see my brand aligned with it. I'm so honored to team up with the team and produce this capsule exclusively for Mr Porter; I'm happy to have our worlds collide ...", pointed out Virgil Abloh in a press release. The collection, which comprises 20 ready-to-wear pieces, 18 accessories, and six pairs of shoes, makes use of wool, felt, cotton and thick canvas in a broad range of full-tone and washed-out colors. 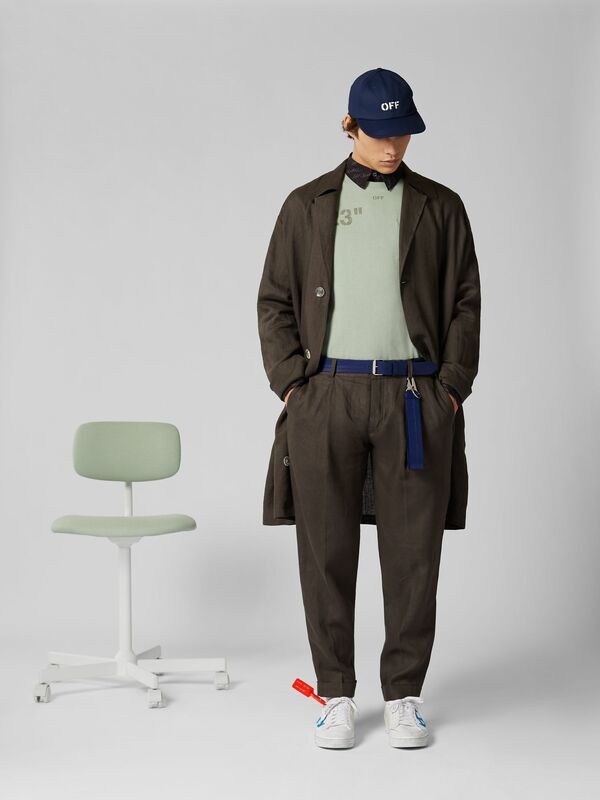 Among the key pieces are wide-cut linen pants with an arrow logo, suede-trimmed leather sneakers, logo-print rubber slides, a "Class of 2013" iPhone X case, and an oversized logo-appliquéd linen trench coat. Fashion What's In Clement Piak's Closet?